Vancouver-based First Block Capital, which last year became the first fund manager to launch a bitcoin fund for Canadian investors, is awaiting regulatory approval for a new blockchain ETF. The firm is expecting the FBC Digital Ledger Technology Adopters ETF to begin trading next month on the Aequitas Neo Exchange. The fund will be managed by StoneCastle Investment Management portfolio manager Bruce Campbell, and will be roughly 75% weighted toward blue-chip stocks like Maersk and Walmart, according to Bloomberg. “We’re really looking at companies that are household names — IBM, Maersk, Amazon — all of these big companies which are using blockchain to enhance their business,” Campbell added. The remaining allocation of the fund will go toward higher-risk developers and cryptocurrency miners. 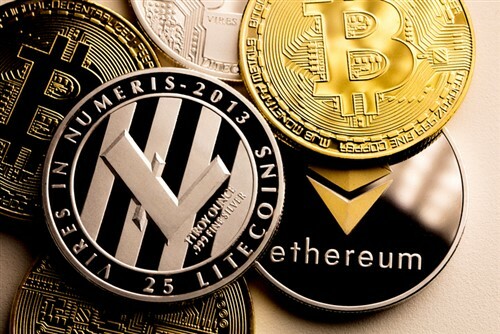 It follows other Canadian blockchain-focused funds that were launched earlier this year, including the industry-leading HBLK from Harvest Portfolios Group, the Evolve Blockchain ETF (LINK), and the Horizons Blockchain Technology and Hardware Index ETF (BKCH). How would Trump impeachment affect market? Downturn will benefit advisors "lost in the noise"